The study, published in Current Biology and funded by Wellcome, shows that normal biological processes which are useful early on in life, continue to 'run-on' pointlessly in later life causing age-related diseases. The deteriorative part of ageing, called 'senescence', is the main cause of disease and death worldwide as it leads to dementia, cancer, cardiovascular disease and chronic obstructive pulmonary disease, but scientists have struggled to identify what causes it. To address this, researchers have focused on discovering the basic principles of ageing by studying simple animals such as Caenorhabditis elegans, a nematode worm used in this study which lives on fruit, and dies of old age after only 2-3 weeks. "Discovering the causes of ageing in these little creatures could provide the key to understanding human ageing, and where late-life diseases come from," said Professor David Gems (UCL Institute of Healthy Ageing), corresponding author who led the team. 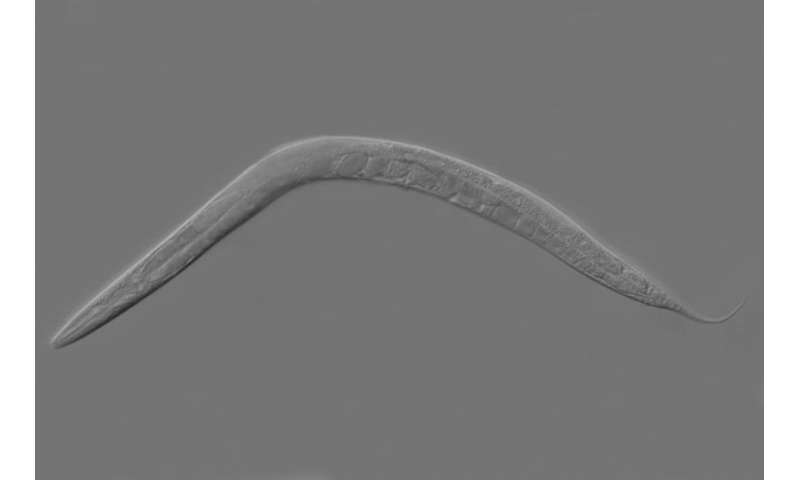 "I've been studying ageing in C. elegans for 25 years, and it's amazing to see its underlying mechanisms revealed. It is so important, because if you want to treat a disease you really need to understand what causes it. And senescence has really become the mother of all diseases, so understanding it is good news for all of us." 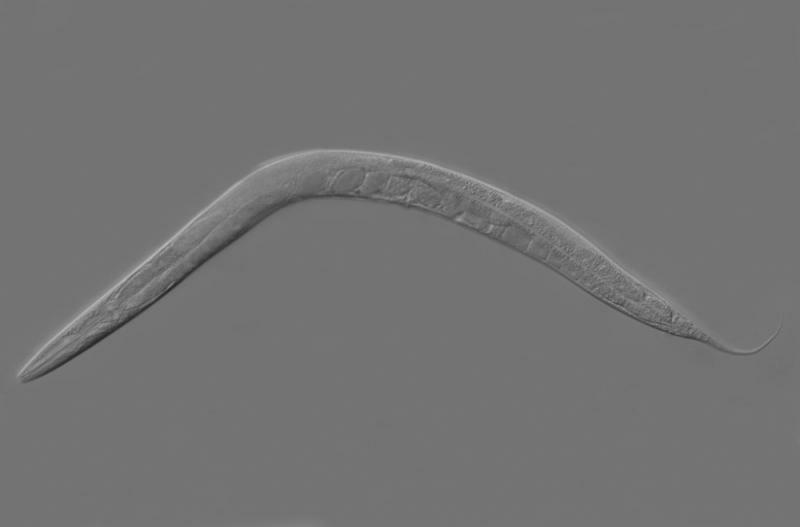 The study describes how biological processes that make young worms better able to reproduce run-on pointlessly in older worms, causing disease. "Since genes we've found driving the destructive processes of ageing in worms are known to control lifespan in mammals, we think the findings are applicable to humans and mark a real paradigm shift in our understanding of ageing," said Dr. Marina Ezcurra (UCL and Queen Mary), first author of the study. Specifically, they focused on autophagy, where body cells consume their own biomass to recycle components and extract energy. They found that the worms' intestine consumes itself (autophagy) to create the yolk needed for eggs, and in elderly worms, this process causes severe deterioration of the intestine and obesity from a build-up of pooled fats. In turn, this further impacts on the health of the worm by promoting growth of tumours in the uterus, and shortens lifespan. "This really surprised us since autophagy is usually thought to protect against ageing rather than cause it," said Dr. Alex Benedetto, a lead author on the study, formerly at UCL but now at Lancaster University. "It seems that worms crank-up autophagy, which is considered good, to maximise reproductive success, which is good too, but they end up overdoing it, causing senescence," he added. The finding suggests parallels with bone erosion in lactating mammals. In women, a process originally designed to leach calcium from bone to create milk for breastfeeding may have negative effects after menopause, when it instead contributes to osteoporosis, osteoarthritis and calcified blood vessels. When useful biological programmes run-on in later life, they can become disease-causing 'quasi-programmes'. Such programmes were recently proposed and the findings support that they are indeed a major underlying cause of ageing. This does not mean that aging is programmed but instead, that it is a continuation of developmental growth driven by genetic pathways to the point where these becomes harmful. Other examples include an increase in blood pressure causing hypertension and an increase to the eyes' near vision point causing long-sightedness and a need for reading glasses. The results of this study are consistent with the results of another recent study from the same team at UCL showing how the futile activation of genes in unfertilized eggs, which are programmed to generate embryos, cause tumours to form in ageing worms. "For decades scientists studying ageing have thought of ageing bodies as wearing out much like cars do, from a build-up of damage. What's exciting about this new work is that it shows something completely different. It turns out that we are not like cars—what kills us when we're old is not random damage, but our own genes. It seems that natural selection is short-sighted and ageing is the price we pay," concluded Dr. Benedetto.